Wonderful sought after area in Valencia Northbridge in Valencia CA, real estate area of Santa Clarita CA. TUCKED IN A GREAT CUL DE SAC LOCATION WITH ONLY A FEW HOMES.METICULOUS AND MOVE IN CONDITION.GRANITE COUNTER,REFACED KITCHEN CABINETS,PULLOUT SPICE RACK & PANTRY.GAS LOG IN FP. HARDWOOD FLOORS,UPGRADED CERAMIC TILE.CONVECTION OVER,SEC.SYSTEM.EXTRA KITCHEN CABINET.NEW WATER HEATER,PLANTATION SHUTTERS THRU-OUT.CEILING FANS.MIRROR WARDROBES.TONS OF STORAGE CABINETS IN GARAGE AND UNDER STAIRCASE. CUSTOM HARDSCAPE FRONT AND BACK AND COVERED PATIO. ALL BEDROOMS UPSTAIRS.INDOOR LAUNDRY ROOM DOWNSTAIRS. 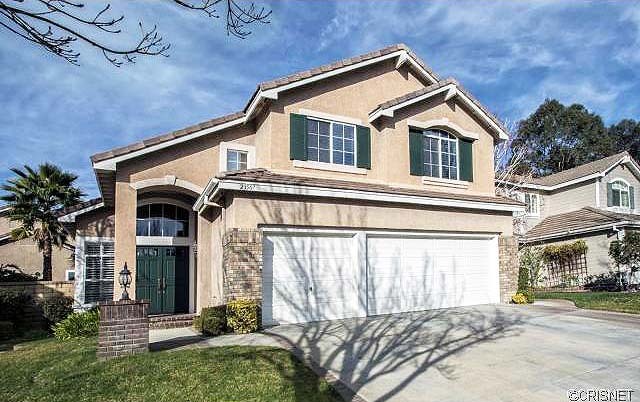 This town home at 23507 Wheaton Court, Valencia, CA, 91354 is located off Newhalll Ranch Road. This is a standard sale.